This entry was tagged camera, Kim Klassen Mary texture, Nikon D300, PhotoShop Elements, spring, Texture Tuesday, tulips. This photo teaches me that less is more! I tend to be heavy handed with my textures, but your Multiply @ 39% really lets the flowers pop while softening the background! Beautiful! I appreciate your comments. It’s great fun and a good learning tool for all of us to be able to see each other’s work. 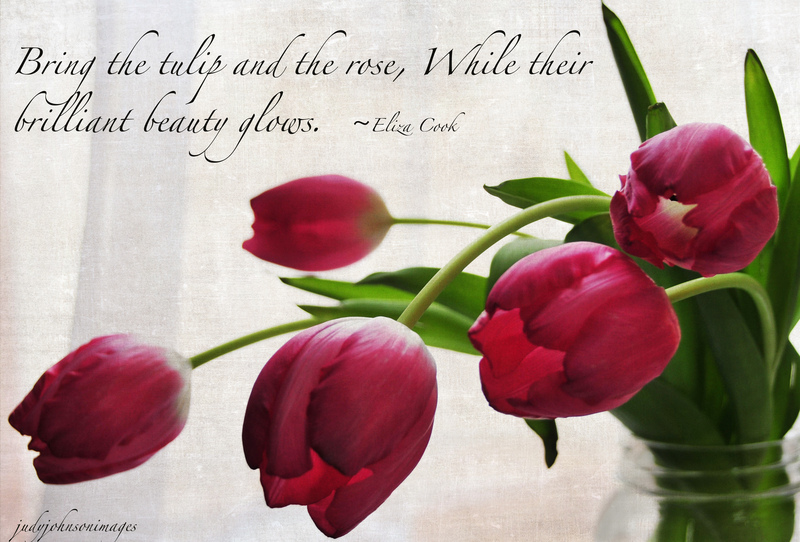 Your tulips are so beautiful…..the way they gracefully arch. And….I like the quote you’ve used here. Thank you so much, Marilyn! I appreciate your comments and your visit! Hi Jim! Thank you very much! I must pay a visit to Scotland, and come to your page. I haven’t been there in a while!